With the weather heating up and the sun finally making an appearance here in the UK, I couldn't resist rummaging through my nail polish collection for a bright, summer shade. Nailberry Groseille is actually one of the few in my stash which I hadn't used yet and my first experience of this brand, but I'm so glad I decided to try it out last week! Nailberry polish is free from formaldehyde, toluene, DBP and camphor and is also cruelty free. Groseille, a warm-toned coral, is one of the most perfect shades for summer and I think it would especially make a great pedicure colour. I really like the long brush on this one as it makes it easy to glide onto the nail seamlessly and you only need two very thin coats for opaque coverage. The polish dries quickly with a glossy finish and also contains a UV filter to prevent discolouration. Without a topcoat, I find this shade subtly wears down evenly at the tips for the first couple of days and begins chipping around the four or five day mark - not too bad in terms of longevity but I'll definitely be using a topcoat in future to make it last a little longer! I'm sure I'll be checking out more from the brand soon, especially their muted shades from the 2015 L'oxygéné 5-free range. Nailberry polish is priced up to £14.50 each and available direct from nailberry.co.uk, as well as Harvey Nichols stores in the UK or online at LoveLula. 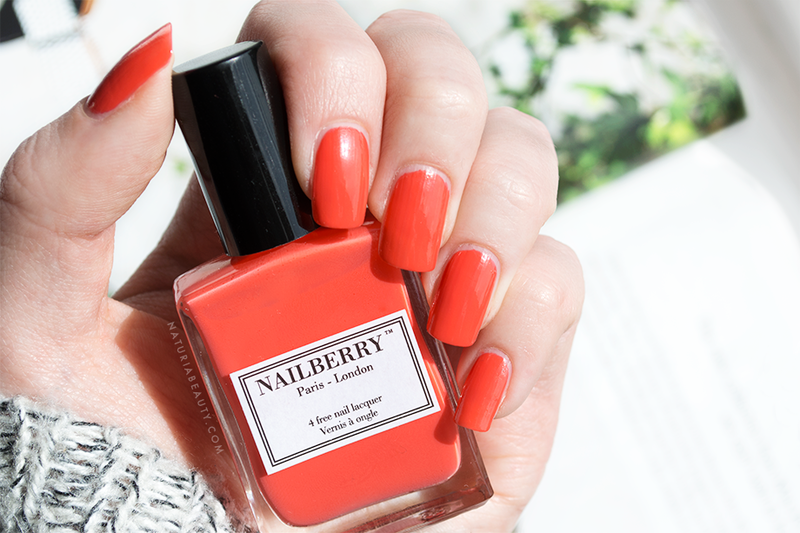 Have you tried Nailberry before?